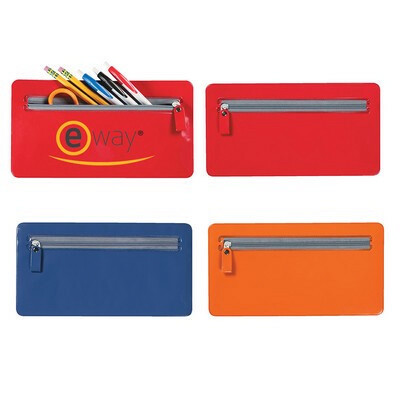 Features: This pencil case can easily hold everything you need in your busy day. It is available in five colors including blue, fuschia, lime green, orange or red, it features an easy zipper full with brand or logo customisation done by digital printing. Price includes : 1 COLOUR 1 POSITION PRINT. Setup is included.